Quick post. 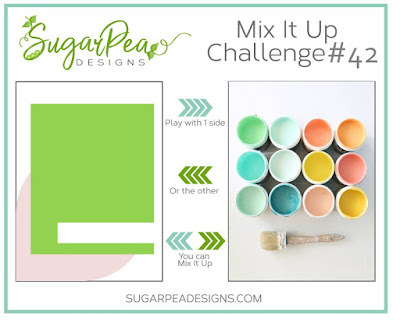 I want to share this sweet bunny card I made for SugarPea Designs Mix It Up Challenge # 42. I hope you will join us and play along with the challenge. You can find all the details and enter your card HERE. Have a fantastic Wednesday peeps! I like to have thank you card handy, so this is part of building my thank you card stash. I used Purple Onion Designs Stacy Yacula - Free Spirits. I tend to build up a scene when I used POD stamps, but this time I decided to keep it clean and simple and only use 1 stamp (besides the sentiment stamp) and anchor it on a couple washi tape. Hah... I need to get my washi tape some use. It's amazing ho much crafty goodies that just sitting in my drawers. Yay! Today is the day. All the products you have seen throughout this week will be available in the shop this afternoon. Do you have your list ready? Last but not least, we're showcasing Wagon Wishes (pssst, this is SugarPea free sweet incentive) and Sending Sentiments set. Who doesn't love a wagon full of flowers, right? And, of course, I just had to combine it with my favorite set, the previously released Chunky Monkey. I framed the whole scene within the postage frame that I die cut using Postage Stamp CoverPlate. Finished by stamping the sentiment from Sending Sentiments set. Would you like to win Sending Sentiments set? Simply leave a comment here and on SugarPea blog. You have all week to comment! Winners will be announced on Sunday, April 22nd. Fore more inspirations, please check out my SugarPea teammates blog and we'd love for you to leave comment along the way. Thank you so much for stopping by here. Have a blessed Friday everyone! One more day... We're getting there. Today is day 4 of Sugarpea Designs release and we are introducing the adorable 24 Carrot Friend stamp & die set and the beautiful Eyelet CoverPlate. I think this bunny is just super sweet, don't you agree? I love the sparkle on its eyes. I keep my design clean and simple as I want the bunny to simply shine. And, have I mention how much I love this postage frame? It seriously can make any design fancy. Now, how would you like to win the 24 Carrot Friend stamp set? Easy peasy. Simply leave a comment here and on Sugarpea Designs blog as well as on my teammates blog below for additional chances. You have until midnight on Saturday, April 21st to comment! Winners will be announced on Sunday, April 22nd. Thank you so much for joining us for Day 4 of Sweet Peeks! REMEMBER!! The entire Spring Product Release will be available for purchase this Friday, April 20th at 6 PM EST. Welcome to day 3 of SugarPea Designs release week. We're half way there, peeps. Today we are introducing Reading Friends, Simply Fabulous and Fabulous Word die. When I was a kid, I was definitely a book lover. I am forever grateful to my older brother for showing me the wonderful world of reading. I remember clearly when I was in 2nd grade and my brother taught me to read silently and loaning me his book collection and after that I have found the many wonderful places that you can only get through reading. This set Reading Friends, totally capture my love of reading and make me think of the many times my brothers and I spent reading. Summer vacation, we'd be spending hours in our room just reading or at the book store! Isn't this image makes you think of the sweet, simple days? I treasure those days. And, I keep my cad design clean and simple as I really want the image to shine through. Would you like to win Reading Friends set? Simply leave a comment here and on SugarPea blog.You have all week to comment! Winners will be announced on Sunday, April 22nd. Fore more inspirations, please check out my teammates blog and we'd love for you to leave comment along the way. Thank you so much for stopping by here. Have a blessed Wednesday everyone! Hi peeps! 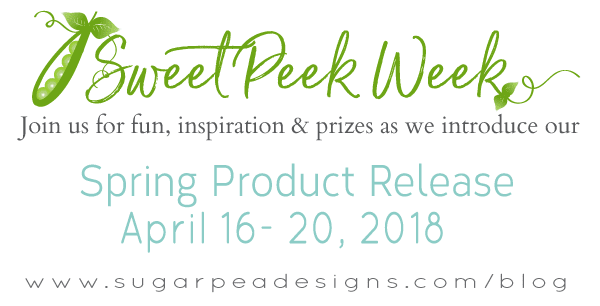 Welcome to day 2 of SugarPea Designs release week. Today we continue with more fun sets and introducing some chic sets that are perfect for those who love to travel. For my card today, I am using the LondonScape. I die cut the skyline out of watercolor cardstock and once I finished coloring it, I line it up to my card panel and did the water drip to create the loose watercolor look below the skyline. Would you like to win the Chic Wishes stamp set? Simply leave a comment on SugarPea blog as well as the DT blog. It’s that easy! You have all week to comment! Winners will be announced on Sunday, April 22nd. The SPD team has some amazing and creative inspiration for you using the products featured here today. Please visit each of our designers’ blogs below for details on their projects. Thank you so much for joining us for Day 2 of sneak peeks! REMEMBER!! The entire Spring Product Release will be available for purchase on Friday, April 20th 6 PM EST. Hi peeps! Happy Monday and welcome to SugarPea Designs release week! Please join us over the next 5 days as the SugarPea teams share Sweet Peeks for the 16 NEW products that will be available for purchase starting this Friday, April 20th at 6 PM EST in the SPD Store. Let me just say, we have loads of fabulousness to share with you. For today, we're introducing Postage Stamp CoverPlate, Parisian Holiday, SugarCut – Parisian Holiday, Ooh La La and SugarCut – Ooh La La. For the images, I anchor them on a banner and added a strip of p﻿atterned paper on the top. The heart is part of the Postage Stamp CoverPlate that I adhere to the banner with pop dots. Then I added a strip of watercolored city skyline (more of this coming this week) and layered it with the puppy & the super adorable croissant. I am really happy with the way this card turned out. Sometime layering is not my strongest suit and I love it when my plan actually come out the way I envision it. Hah! Would you like to win the Parisian Holiday stamp set? Leave a comment sharing with us what your dream vacation destination. It’s that easy! You have all week to comment! Winners will be announced on Sunday, April 22nd. Our team has some amazing and creative inspiration for you using the products featured here today. Please visit each of our designers’ blogs below for details on their projects. And while you’re there be sure to leave a sweet comment for them, giving you an extra entry to win today’s giveaway prize. Thank you so much for joining us for Day 1 of sneak peeks! REMEMBER!! The entire Spring Product Release will be available for purchase on Friday, April 20th 6 PM EST. Don’t forget to leave a comment here on this blog for your chance to win. We’d love to hear what you think about all of the products that we are showcased today. 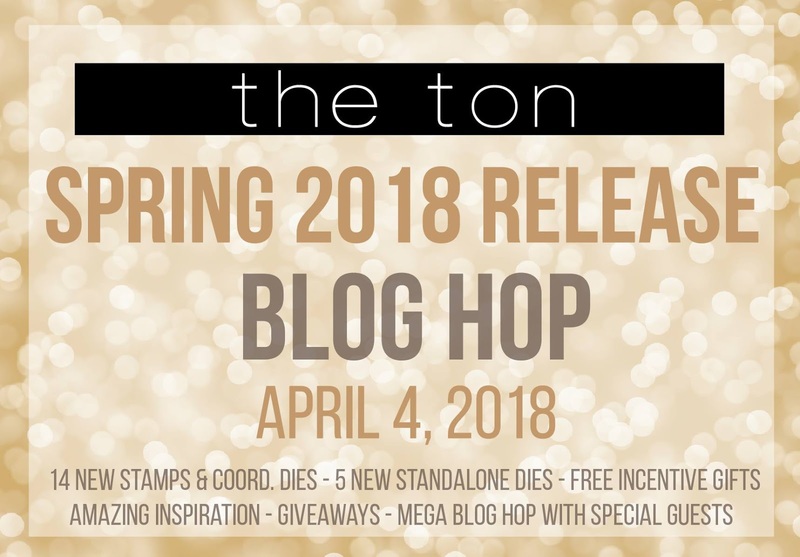 Welcome to The Ton Spring 2018 Release Blog Hop! 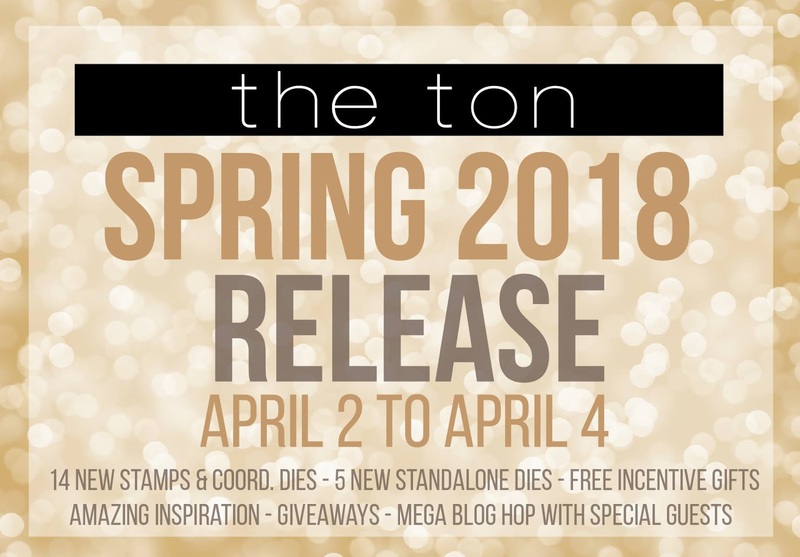 We're so excited to have you joining us to celebrate The Ton latest release. Let's get on to the card since we have quite a few blog for you to check out. What makes me fall in love with The Ton is their floral stamp set. Just like this one, the Nesting Peonies is simply stunning and when I saw the chickadee on the set, I got even more excited as I love chickadees. I think they're such cute & pretty birds. So, what do you think of this release? What's on your must have list? I sure would like to know. The 2 sets I used today are my must haves. Now, no hop is complete without a giveaway. Check outthe giveaway detail below & thank you so much for stopping by here. I really appreciate it. 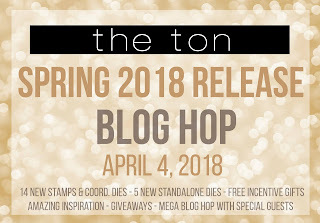 Hi peeps and welcome to day 2 of The Ton spring release. Today, we are introducing Wild Dahlias, Coming Up Dahlias, Dahlia Bouquet, Peony Laurel, Peony Duo, and Geo Mountain Layering Coverplate Dies. GIFTS WITH PURCHASE: We have two free gifts with *qualifying* purchases for this release - Toned Squares and Nesting Peonies. This promotion does not apply to prior purchases***. The threshold amount is calculated before taxes and shipping. This promotion will continue until April 10, 2018 at 11:59pm EST or until supplies last. Limit one incentive package per customer. No coupon code needed. All incentive products will automatically be added to qualified orders (they will not show up in your cart but will be added to orders as we pack them). Spend $250 or more: Receive a 6x8 Toned Squares set (and a Nesting Peonies set). For my 1st card, I combined the Toned Squares and Wild Dahlias set. I've never seen a set quite like the Toned Squares. It's such a fun set to use!! I think this is a great set to use when you need to create a background that's unique but not over powering. Once I stamped the background, then I work on the flower arrangement. Stamped, die cut and colored all the flowers and leaves and then arrange them on the card. I curl the flowers and then adhere the pop dots on the center of the flowers. I loveeee the font combination on the sentiment. Simple but elegant. On to my next card. For this, I used the gorgeous Coming Up Dahlias. I stamped and heat embossed the flower with white embossing powder on a piece of watercolor cardstock. Then, I color it with Kuretake Gansai Tambi Watercolor. Once it dry, I adhere the panel to the cardstock base and stamp the sentiment from previously release Pragmatic Wreath set. 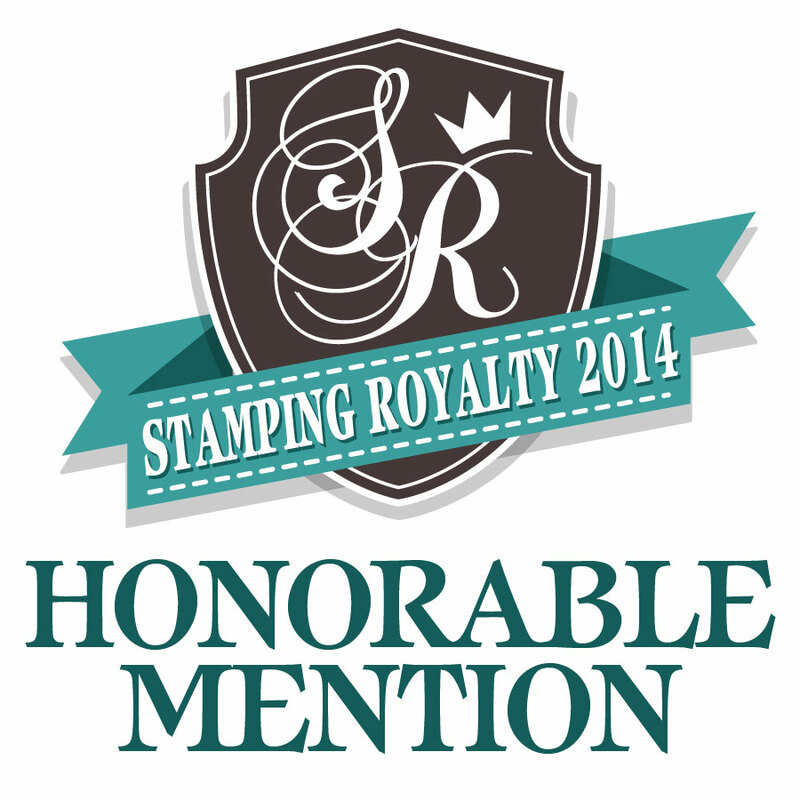 For each Release Day (1 and 2), we are giving away a stamp set of choice from the new release! To qualify, you must leave a comment on our Daily Release posts – let us know which of our new stamps are your favorite for each day! 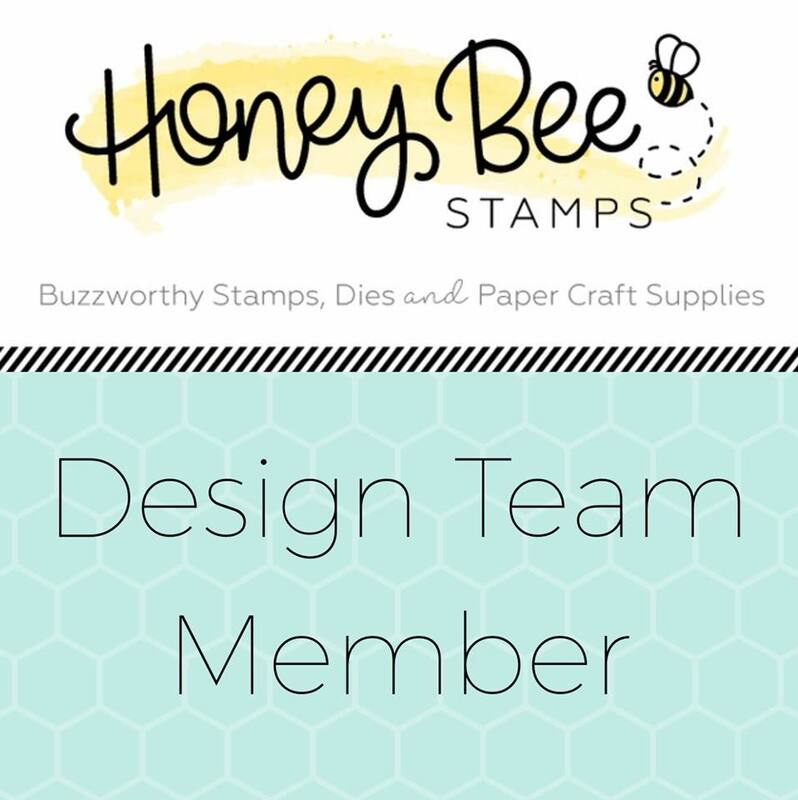 Leave a comment on each Design Team member’s blogs to increase your chances of winning. The comment period for all giveaways closes on April 6, 2018 at 5pm EST. Winners will be announced thereafter on The Ton’s blog. Check out what my teammates have created for today introduction. Thank you for stopping by here and join us tomorrow for the release hop. See you then. 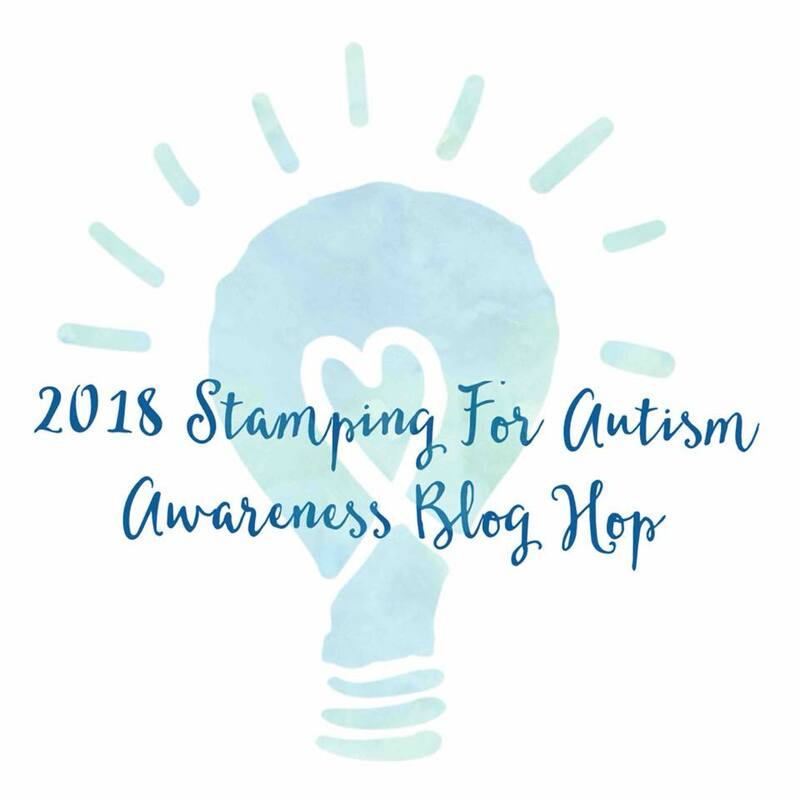 Hi everyone and welcome to the 2018 Stamping for Autism Awareness Blog Hop. 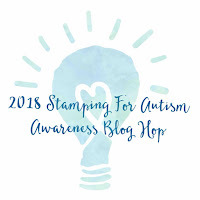 I am thrilled to be a part of a fantastic group of designers as we do our part in spreading Autism Awareness to our crafting community. This hop was created and hosted by Veronica Zalis. And, I am supporting her effort to spread the autism awareness not only because she's my friend, but also to honor my foster brother in Indonesia teach at school for autistic children. I think it's a honorable, hard work that not too many people chose to do. I first cut the diagonal background using SugarPea Designs Diagonal Striped Cover Plate out of watercolor cardstock and then add the watercolor. Let dry and adhere to card base. Next, I work on the critters & flowers. The beaver is fromSugarPea Timber set & the bear, bunny & hedgehog trio is from Honey Bee Forest Friends set. The flower is from The Ton Fresh Cut Sunflower Outlines. Color all of them with Copic and once that done I simply arrange them all on the card and adhere with pop-dots. There's more dimension on this card in person as on top of adhering the images with pop dots, I also like to curl the pieces before adhering them, so they don't look so flat. Finished by stamping the sentiment. These are the generous and just flat out fantastic companies that have donated over $1,100 in prizes!! Make sure you visit Veronica's blog for the prize detail and visit all the companies who generously sponsor this hop (see the links below). Hi peeps!! It's time for The Ton spring release. And, we have quite a few sets to introduce. For today, we are introducing Beautiful Bettas, Large Florals: Heritage Rose, Large Dahlia 1, 2 & 3, Dahlia Garden, Build a Motorcycle Dies, and Pop Up Peony Dies. Now, let's get on to the card. For my first card, I combined all Large Dahlia 1, 2 & 3 set. I colored all of them with Copic, then arrange them on the card base and adhere with pop dots. For the sentiment, I used the sentiment from a previous release set Dearest Peony. And, for finishing touches I added some sequin mix from Cotton Candy Puff Couture Mix. Now, this next card is a fun one. I use the Beautiful Bettas set. I stamped it with Arctic Sky and then layered it with Parisian Blue. Then as usual, I reached for my Copic to add some extra colors. Now, for the background, I cut a way pattern from a piece of scrap paper and then use it as a guideline to create some wavy shading. It's really soft (click on the pic to see the card on bigger scale), but I hope you can see some wavy shadow behind the fish. For the water bubble I dotted some enamel drops. For each Release Day, we are giving away a stamp set of choice from the new release! To qualify, you must leave a comment on our Daily Release posts – let us know which of our new stamps are your favorite for each day! 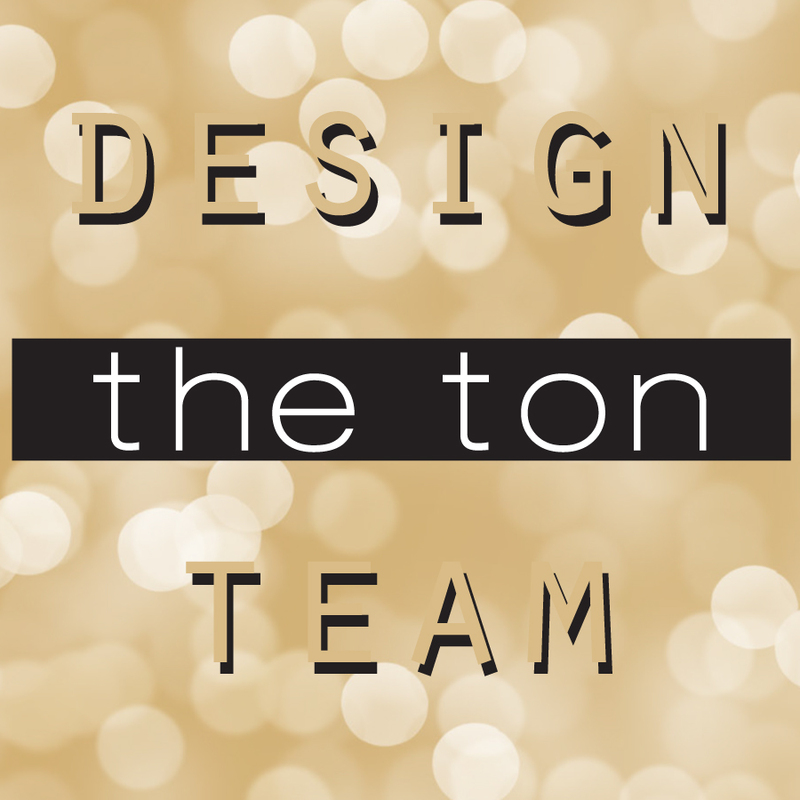 Leave a comment on each Design Team member’s blogs to increase your chances of winning. The comment period for all giveaways closes on April 6, 5pm EST. Winners will be announced thereafter on The Ton’s blog. Check out what the team has created for this release and thank you for stopping by here.